Pinhão is the best kept secret in Portugal. 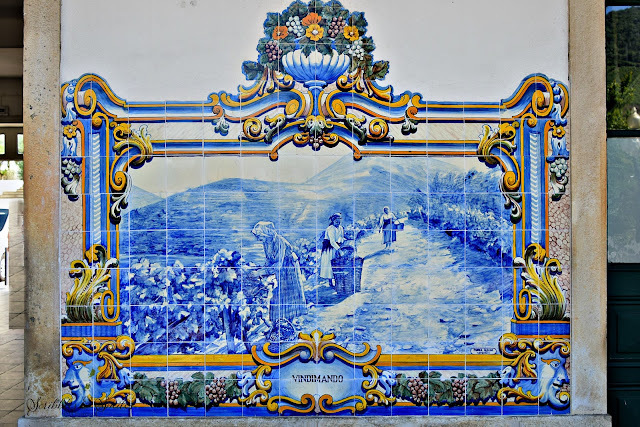 One main attraction is the Pinhão train station showcasing the perfect example of Azulejo (aZHəˈlāˌhō) tiles. A decorative, hand painted ceramic tile-introduced into Portugal by the Moors, around 1500. 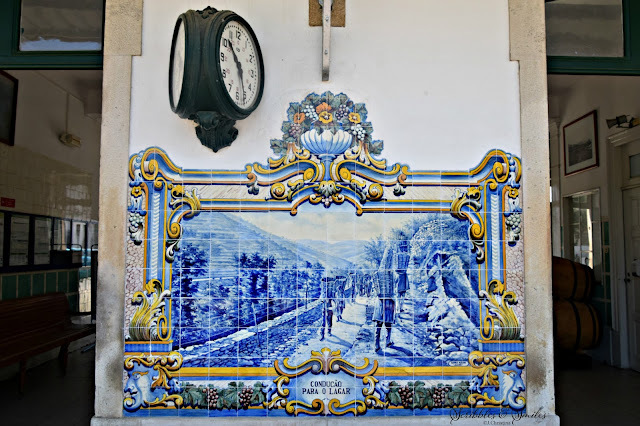 There are 37 Azulejo tiles in the Pinhão train station, created in 1937 - using the traditional blue and white ceramic art design. All telling the story of grape harvests, and depicting scenes of the Douro Valley wine region and landscape...documenting the history of the country. 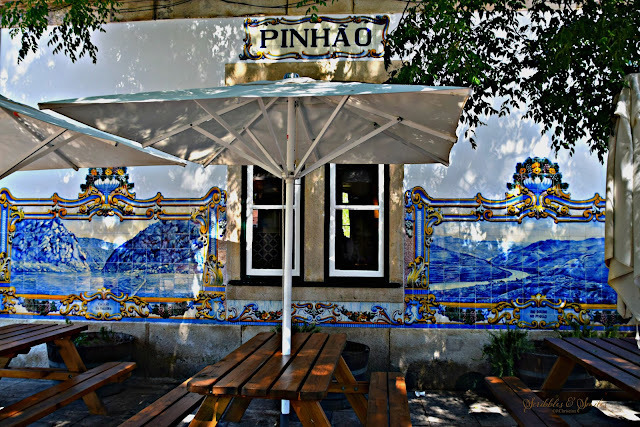 Pinhão offers postcard perfect views, mountains that reach 3000’ high and fall right right-back down into the riverbed-terraced vineyards, with lush green grapevines; along with romantic and rustic country houses spotted on the hillsides. Beautiful scenery around the Douro river valley wine region - cruising on the Douro river.